Yea, its purple manicure time. I did these 2 nights ago and they're still chip free. Hence why I didnt post a new mani last night. Check out these purdy mamas with tutorial to follow. 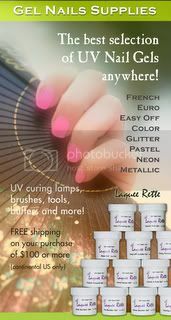 For this manicure, grab a light base color. I chose Avon Loving Lavender. 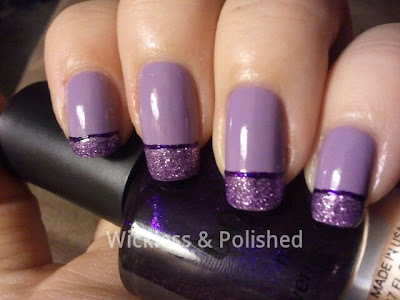 Then add a sparkly tip in a darker but same color glitter. I chose Color Club Tru Passion. 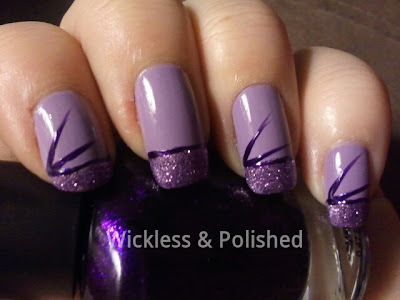 Then with an even darker shade in the same color, draw a stripe across the bottom of your glitter edge. I chose Love & Beauty Dark Purple. 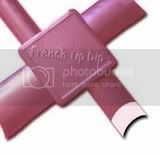 Then with that same darkest color, draw 45 degree angled stripes. I did 2 on each finger except for my middle finger as that is the accent nail. Then take a silver glitter and go between your dark stripes. 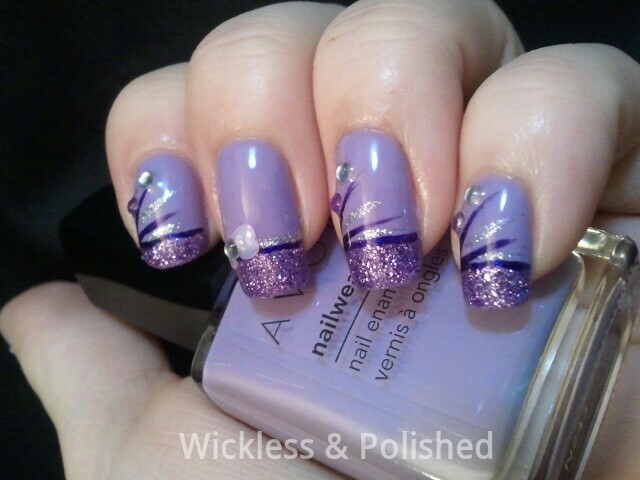 I also added a stripe below the purple one on the accent nail. Here i chose Kiss nail art paint in silver. 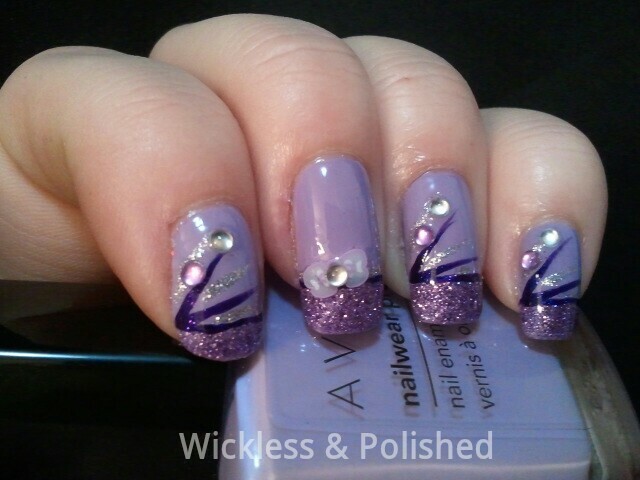 Then I added a light purple fimo bow on the accent nail along with a clear rhinestone on its center. 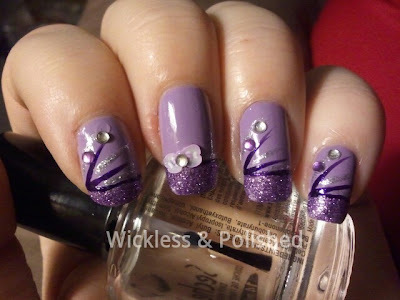 Then a light purple and clear rhinestone on every other nail. Chose two color rhinestones that match what colors you chose. Top coat and you're done! Doesn't this look like it belongs in a glue on box in the stores? I LOVE it! I love purple! This is a great look! This is gorgeous! I love the colors and the bow is so cute! My uncle always used to say, "Never trust a girl who wears purple.". But you do it so well!